possibly nesting. One of the birds was banded the other one was not. sitting in some of the Coconut Palms. 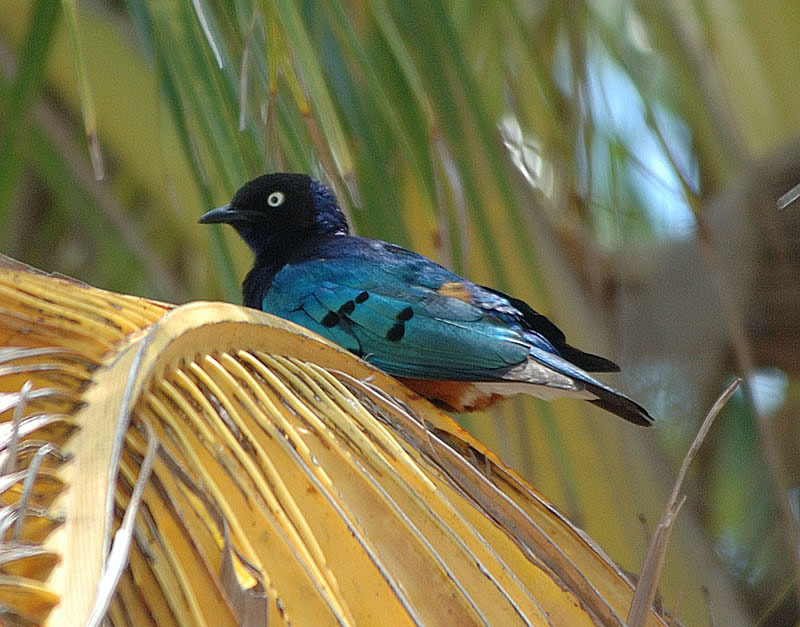 By the way, Superb Starlings are native to Africa.